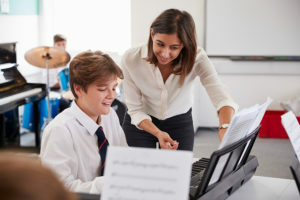 In a perfect world, we would be wise enough as parents to carefully orchestrate our children’s activities from a young age to develop their talents to the utmost, to provide the very best growth opportunities, to bring them the most joy, to help others, and to make their profile interesting and unique to selective colleges. Unfortunately, that’s not the world I live in and neither do you. As much as I, type A mom that I am, would have loved to have a concrete plan that worked for years for my children, life happened. And, it happens for all my clients. The activity mix is usually in a constant state of flux. What are some reasons to change activities? Certainly, there are times we encourage our child to stay the course. They may only be a few months away from achieving a goal. Such was the case for our son. He had almost reached Eagle Scout, but was really struggling under the constant hassling from some of the other boys. It wasn’t abusive and my husband was always there to make sure things didn’t get out of hand. We encouraged Austin to complete his goal, then allowed him to step away from the troop as soon as it was finished. Had he been in danger, physically or emotionally, we would have left immediately. There were other occasions when we realized the situation was harmful and left the activity. And still others where he hated an activity but we realized that that the skills he would develop were in his best interest long term and required him to toughen up and stick it out. Just so you know, I have been thanked multiple times by my adult son for making that requirement! It is a difficult call to make, but we must always balance the desire for continuity with our child’s wellbeing. We also have to respect the ever-changing nature of their growth and development. Sometimes they have just done something long enough and they need to move on. Other times a window of opportunity opens that is just too good to pass up as it will provide exceptional experiences that could greatly enrich their world. Demonstrating a commitment over time is ideal, but we must remember that new activities can provide an interesting dimension to a child’s life and possibly change its course. To help our children grow into their potential (and get into good colleges), we have to get comfortable walking through doors that unexpectedly open. Likewise, we must accept doors that need to close.